iBall, Sirena Technologies, and boAt will be launching their respective audio devices with Amazon's smart assistant Alexa, while MyBox will announce its Alexa Kit for the set-top box in October. Four Indian brands, iBall, Sirena Technologies, boAt and MyBox have announced they will launch new devices next month with Alexa built-in. iBall will be announcing the Breathe-M Bluetooth over-ear headset for Rs 2,225, while Vood speakers by Sirena Technologies will be available for Rs 2,699. boAt will announce its Stone 700A speaker with Alexa integration for Rs 7,999, while the MyBox Alexa Kit for the set-top box with a voice remote will be announced for Rs 1,999. Today, four Indian brands announced upcoming products that feature Alexa built-in. 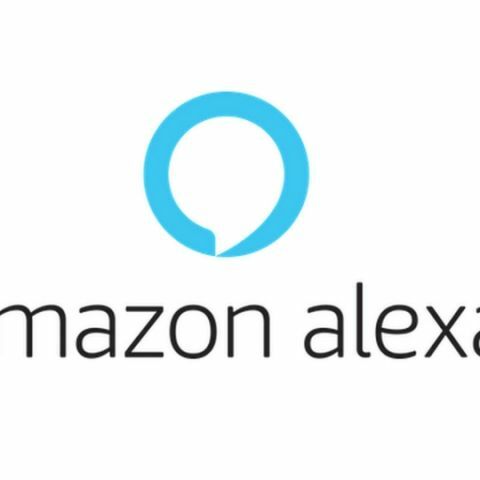 These hardware manufacturers, which include iBall, Sirena Technologies, boAt and MyBox, have integrated Alexa into their products with the Alexa Voice Service (AVS). Customers in India now have more choice around where they can access Alexa - bringing the convenience of voice control to even more connected devices across a variety of form factors and price ranges. All four devices will be available beginning next month and will enable customers to ask questions, play music, control smart home devices, and more – hands-free. To view a list of existing devices that have Alexa built in, visit here. Breathe-M Bluetooth-enabled headphones from iBall feature Alexa built-in and make it convenient to access any information and enjoy music on-the-go, giving customers a completely hands-free experience with Alexa. These foldable, multi-functional and highly portable headphones with light-weight ear cups and soft leatherette cushions offer flexible wearing and a comfortable fit. They are engineered with LED circular ring lights on the ear cups - which displays playful colors to your tunes. The headphones come with a built-in rechargeable battery and mic to control calls and playback. Customers can access Alexa on these devices by downloading the VerveLife App from the App Store or the Google Play Store. The headphones are priced at ₹2,225. iBall Breathe-M comes in the dimensions 18 (H) x 16 (W) x 4.5 (D) cm in Black colour. This Wifi 11ac and Bluetooth-enabled smart speaker from Sirena Technologies is made of wood and comes in two colors – red and brown. Vood is a portable digital assistant speaker with 5-6 hours of continuous audio streaming capability and 2 days of battery life. This speaker has a combination of sophisticated design and exceptional sound for a seamless music experience. A fully fine-tuned, two-microphone array in the speaker ensures superior voice pickup. You can play integrated Wi-Fi music services like Amazon Prime Music and Saavn, or use Bluetooth to stream from your phone or tablet. With a wood finish design, this product dimensions are 60mm diameter, 40mm height and can fit anywhere in your house, car or even your bag. Priced at ₹2699, Vood will be available from mid-November. The boAt Stone 700A is a highly portable, waterproof, shock-proof and dust-proof speaker with a battery life of eight hours that allows music lovers to enjoy music anytime, anywhere! The Idiot proof rugged speaker becomes smart with Alexa built-in capabilities. The speaker comes with dual premium drivers, compact design, 360-degree surround and a rechargeable battery. With 100 per cent protection against water and dust, it lets you enjoy music around the pool or in the bath tub without having to worry about the acoustic experience. It’s a perfect companion for outdoor parties, showers, pool sides, group camping and other outdoor activities. It comes in two colors ‘Military Green’ and ‘Rugged Black’ and priced at MRP of ₹7,999 but will be launching at an introductory price of ₹4,000 on Amazon.in.